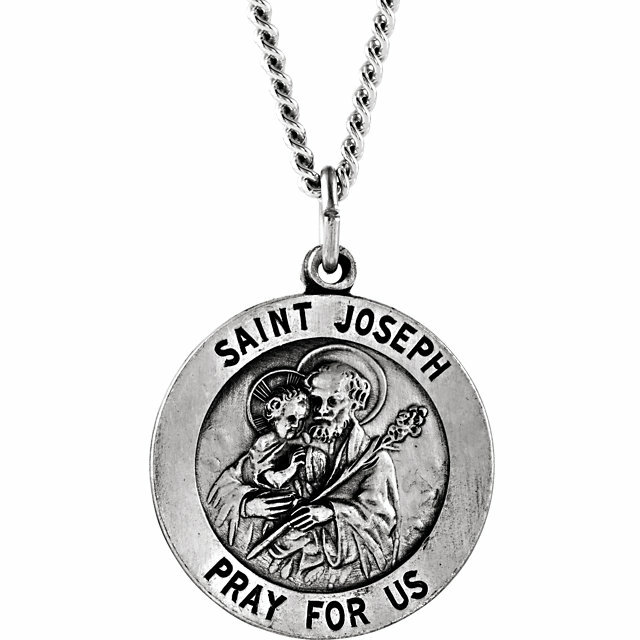 Round St Joseph medal is made of sterling silver with antique finish. 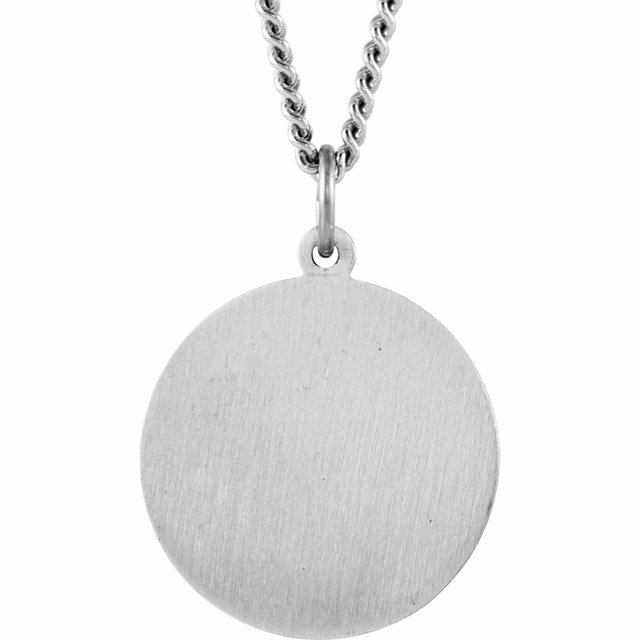 18-inch sterling silver chain included. Engraved: SAINT JOSEPH PRAY FOR US. Dimensions: 18mm, approximately the size of a dime. Weighs 5.33 grams. Please note: weight is approximate, actual weight may vary..